How much will u pay for jewelery and accessories made from swarovski crystal? the simple one or ethnic one..
any jewelery, bracelet, necklace, ring, hair pin, etc and accessories goes to cell phone or key chain, etc.. 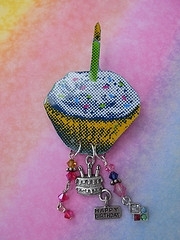 This entry was posted in Crystal Glitz and tagged accessories, beaded,, cabochon, crystal, menorah on August 10, 2009 by admin.